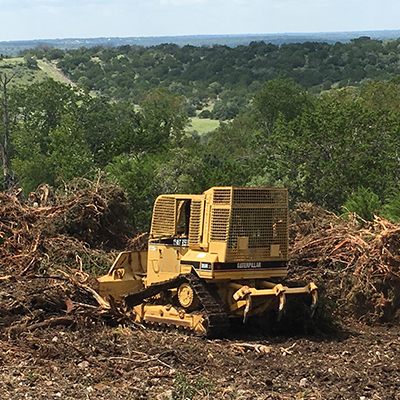 New Bulldozing Services available from Ranch Co. including land clearing, row, root rake, dams & lakes. We pride ourselves on being a different type of contractor. 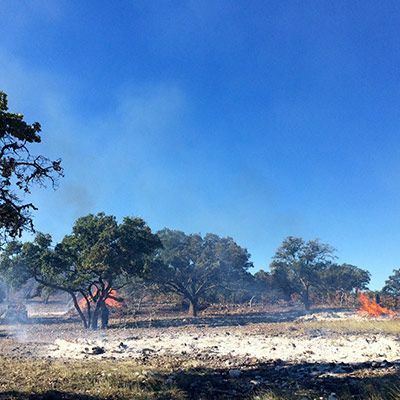 Serving the Hill Country and South Texas, Ranch Co. provides fencing and brush clearing services at the highest level. Ranch Co also provides a variety of other services including metal buildings, road work, dams and lakes, masonry, and concrete. Your ranch is an important investment and asset for your family. 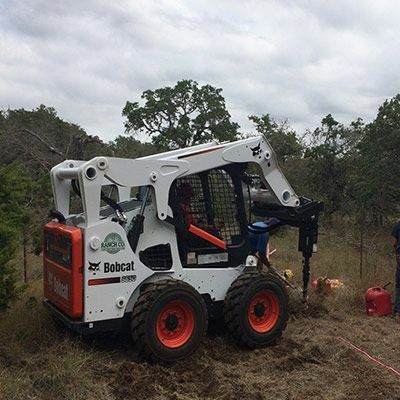 Ranch Co. Cedar Clearing and Ranch Fencing Services understands the importance of protecting that asset and improving its appeal, whether it be for resale or recreation. We're ranch owners ourselves and know what it takes to improve a property the right way. Our experience and attention to detail will be evident in the quality of the work and the professional manner in which your project is handled. We work on all types of projects, from pure investments for resale to family recreational properties, and we know the difference. View our services. Our crews specialize in Ranch Fencing including high game fence, deer pens, field fence, pipe rail, cedar, and wrought iron. 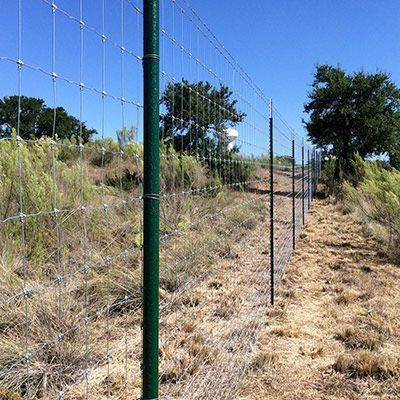 The Texas Hill Country is a challenge for drilling fence holes - view our FAQ. Serving the Hill Country and South Texas, Ranch Co. provides all types of construction services including dams, lakes, roads, water features, barns, fencing, pens, and all types of ranch structures. Ranch Co. strives to provide professional and first-class service as a priority to ensure that your project exceeds expectations. We pride ourselves on being a different type of contractor. We are a service company at heart and take that approach on each job. Ranch CO is not a large company. We can handle any size ranch project, but don’t allow ourselves to become overextended. We are at our jobsites each day. This approach allows us to control the quality of our work and deliver a finished product that is consistent with our reputation. Find out What to Expect from Ranch Co Construction Services. Jason is a pleasure to work with! He stayed in contact with us throughout the entire process and exceeded our expectations. First class professionalism. Our fence project had some very particular challenges and your guys made it look easy. They did a great job. Thank you! Thank you for taking our ideas and turning them into reality. We could have never completed all of our projects without your help. Your ranch is an important investment and asset for your family. Ranch Co cedar clearing and ranch fencing services understands the importance of protecting that asset and improving its appeal, whether it be for resale or recreation. We're ranch owners ourselves and know what it takes to improve a property the right way. Our experience and attention to detail will be evident in the quality of the work and the professional manner in which your project is handled. We work on all types of projects, from pure investments for resale to family recreational properties, and we know the difference. 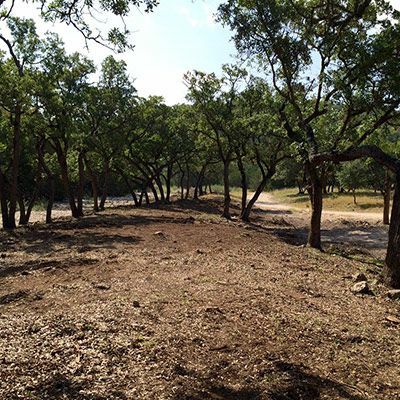 Ranch Co Texas specializes in Farm & Ranch Improvement Projects for the Texas Hill Country. We are located in Kerrville TX for your convenience. We are not a large company although we can handle any size ranch project, but don’t allow ourselves to become overextended. You will see someone from the Ranch Co Texas team at your property everyday. Need more information from our owner, Jason?